Are you looking for a cheap gaming PC that can easily handle your favorite games? Below, you’ll find six different affordable gaming computers that will serve you well into 2019 (and beyond). In this day and age of incredible graphics and extremely demanding video games, you, as a PC gamer, must have a capable gaming computer if you want to play your favorite games in the way they were designed to be played. And, although some console gamers might tell you that PC gaming is too expensive to get into, the reality is that even if you are working with a tight budget, you can build (or buy) a budget PC that can deliver excellent performance at 1080P resolution in most games. And, if you’re willing to spend between $700-$800 you can even get a VR-ready gaming PC that is capable of utilizing an Oculus Rift or HTC Vive headset. In this guide, I’ve given you six different budget PC builds that you can use as is, or that you can use as a base to put together your own part list. This will allow you to skip the fine details and get straight to building your new powerful system. These aren’t the best gaming PCs you can build, but for the price their performance is incredible and for the most part, the majority of them will offer a better gaming experience than consoles will. In the end, you’ll have a plan of action, as well as a number of different components to choose between, and you’ll be well on your way to building a cheap gaming computer desktop that is capable of delivering excellent levels of performance. You’ll also find links to comparable affordable pre-built desktops. So, if you don’t want to build your own PC, you can check out the types of desktops you can get for a similar price. 8. FAQ: Should You Build A PC? In this section, I’ve taken six different price points ($300, $400, $500, $600, $700, & $800) and I’ve put together affordable gaming PC builds for each budget. These builds can either be used as is, or they can serve as a base that you can customize to your liking. Each build has a link next to each component that says “SEE PRICE »” and if you click on it it will lead you to that component’s listing on Amazon where you can purchase it. And, if you are looking for a pre-built gaming desktop, there is also a link that says “PRE-BUILT »” that will take you to similarly-priced pre-built systems. *I update these builds about once per week and if the total price is over the price range I have set ($30 threshold) then it’s likely that one (or more) of the components included in the build saw a price increase since I had last updated the build. No worries, though! If you browse for similar components you will likely find something comparable performance-wise that will be more affordable and will bring the price down. **Due to recent problems with Windows 10 codes on Newegg, we recommend purchasing Windows 10 keys from Microsoft or from Amazon if possible. What if I told you that for ~$800 you could build a computer that could serve as a solid 1080P or 1440P gaming machine? Or, that could support the Oculus Rift? That’s what this $800 gaming PC brings to the table. Thanks to a second-generation AMD Ryzen CPU and a new GTX 1660 Ti 6GB GPU, this budget PC build is capable of playing most games on a 1440P 60Hz monitor at medium-to-higher settings with acceptable frame rates. And, if you want to jump into the world of Virtual-Reality gaming, this build meets the requirements to run an Oculus Rift or HTC Vive as well. And, of course, if you just want to play on a 1080P monitor, this budget system will easily be able to handle that as benchmarks for the GTX 1660 Ti 6GB show that it can handle 1080P gaming incredibly well. In fact, pairing this build with a cheap 144Hz gaming monitor with G-Sync would make for a great gaming PC for PUBG, Fortnite, Apex Legends, or any other highly-competitive game. The build also includes a 240GB solid state drive, which will offer superior read/write speeds over traditional mechanical hard drives. It’s not a huge amount of storage, but we’ve also included a 1TB mechanical backup hard drive. So, you should have more than enough storage with this setup. You also get a 550W semi-modular modular power supply that will handle any upgrades or additions you might want to make in the future. And, while you can choose any case that suits your personal preferences, we’ve included a solid mid tower tempered glass case. Ultimately, while this build doesn’t have an NVIDIA GeForce RTX (ray tracing) GPU in it, it will still offer incredible performance at the price it comes in at. *Component prices fluctuate daily. Click here to check current pricing. However, if you’re looking to get a new cheap PC that is capable of giving you a really high-end gaming experience, you could easily achieve that with $700 of quality computer components. With a second-generation AMD Ryzen 5 2600 CPU and an RX 590 8GB, this is a budget PC that is, believe it or not, capable of functioning as an entry-level 4K gaming PC (it can run non-demanding games on a 4K monitor). It will even meet the required specifications for running the Oculus Rift or HTC Vive—so virtual reality is also doable with this setup. You could also opt for an NVIDIA GeForce GTX 1060 6GB GPU or RX 580 8GB GPU, but we feel that, at the moment, the RX 590 offers the better price-to-performance. This $700 gaming PC also comes with 16GB of DDR4 memory and the nice-looking Thermaltake Versa H15 micro-ATX case. This isn’t the greatest case in the world, but for under $40, you get a solid case with decent airflow, plenty of room, and nice aesthetics, too. For storage, you also get a 240GB SSD and a secondary 1TB hard drive. So, you’ll not only get a speedy SSD that will help your boot times and game load times, but the backup hard drive will give you plenty of room to store all of your files on. And, for the power supply, the Corsair CX 550M will give you plenty of power to make upgrades or additions in the future. In fact, for right around $600, you can throw together a solid gaming desktop that will max out any game on the market on a 1080p monitor as well as a system that will even be able to handle most games on a 1440p 60Hz monitor (although, you wouldn’t be able to play more demanding games on some of the best 1440P 144Hz monitors with this setup) as well. And, for popular games like Fortnite or Apex Legends, this computer will be able to handle them with ease. This build also comes with a 1TB hard drive, so you should have plenty of storage. If you don’t need that much storage, you could always opt for a smaller 240GB SSD, or pay a little more to get a 500GB SSD as well. 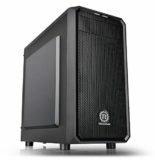 If you’re not into building your own system, though, you can check similarly-priced pre-built gaming computers by following the “SHOP PRE-BUILTS” link below. The bottom line, though, is that this system is a really good gaming computer for the money and it will easily last you through 2019 and beyond. For those of you looking to spend a little bit more money, you can come away with a truly powerful gaming computer at a very affordable price. At $500 this next cheap computer build will present you with unbelievable performance. These parts are literally capable of producing an experience on par with some of the big custom PC builder’s $1,000+ pre-built gaming desktops. This system also comes with a 1TB hard drive, but as I mentioned above in the $600 gaming PC build, you could opt for a smaller SSD instead. And, you get a 550W power supply, which should allow you to jump up to a higher-end video card in the future with no problems. If you were looking to buy a decent system from the big computer assemblers, you would expect to pay at least $700. However, you don’t need to spend $700 in order to get a gaming computer that will deliver a good experience. In fact, for right around $400, you can build a system that will allow you to play games like Rocket League, League of Legends, Dota 2, and Fortnite on higher settings at 1080P resolution. And, by building it yourself, you can avoid having to deal with the low-quality power supplies and motherboards that the big computer companies like to throw in their builds, or getting stuck with a cheap gaming laptop. For gamers or students who are headed back to school who are working with an extremely tight budget, it is possible to throw together a gaming computer under $300. The downside of putting together such a low-end system is that you’ll be stuck with integrated graphics. However, the upside of this build is that with just an upgrade to the CPU and an upgrade to the video card (which may also require an upgrade to the power supply) you will have a very solid cheap gaming PC. But, even as is, with the AMD Ryzen 3 2200G and its integrated Vega graphics, this build is capable of handling most games at 1080P resolution on lower-to-medium settings. And, it easily meets the recommended specs for non-demanding games like League of Legends, Dota 2, and Rocket League. So, if you are severely strapped for cash now, but you want something that will let you play your favorite games on lower-to-medium settings (and, in some case, higher) and will also let you upgrade to a high-end system later on down the road, then this is probably one of the best cheap PCs for gaming you can build for the price. If you’re on the fence of whether or not you should build your own gaming computer, buy a pre-built PC, get a gaming laptop, or go with a console (like a PS4, PS4 Pro, or XBox One), we’ve put together a list of answers to some questions you likely have. 1. Why Should I Build My Own PC for Gaming? There are many reasons why you should build your own PC. The main reason, of course, is to save money. By choosing to build your own PC, rather than purchasing a pre-built computer, you can save a ton of money. This is mainly because pre-built computer companies typically mark up the price of their systems significantly. And, finally, building your own computer is just a really good skill to have in this day and age, where everything depends on technology. It’s not a difficult task by any means, but it is rewarding nonetheless, and, in the grand scheme of things, not many people have ever built their own system. Building your own gaming PC will give you a better working knowledge of the inside of your system. So, if you ever need to upgrade your computer in the future, or fix something inside of it, you’ll be better able to do so if you already know what the inside of a computer looks like. Not to mention, building your own PC could lead you to develop interest in other technology-related fields, like programming, software development, computer engineering, electrical engineering, etc. 2. Who Can Build a PC? Anyone who knows how to read or even how to watch a video and how to use a screwdriver can build their own PC. (Although, if you’ve seen the PC building video that was released from ‘The Verge’, that is an example of how NOT to build a PC. Check out our guide on the common PC building mistakes that first-time builders make in order to get an idea of what NOT to do.) I should also add, too, that you do need some patience when building your own computer. As I mentioned above, building a budget gaming PC is not rocket science and is not too difficult of a task. However, there are moments that can arise during the building process that can be frustrating. The good news, though, is that there are plenty of guides out there that can help walk you through the building process to minimize the chances of you running into these kinds of problems. Most builders won’t face too many issues during their first build and even the most tech-challenged individuals could probably get through their own PC build if they are patient enough. I’ve had 10-year-olds email me to tell me how they have built their own computers, as well as non-tech-savvy parents and even grandparents. So, if they can do it, I bet you can, too. 3. What Do You Need to Build A PC? To build a PC you need a specific set of components, an operating system, and a screwdriver. If you look scroll down in this guide, you’ll see that I’ve put together a number of pre-made part lists that you can either use as is, or as a base for the system, you want to build. 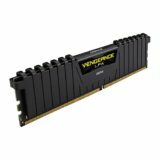 What Parts Are Needed to Build A PC for Gaming? CPU: The CPU is the brain of your computer. It handles all of the processes, calculations, and tasks of your computer. More than any other component, it will determine the speed of your computer. However, if you’re building a gaming computer, your CPU will take a backseat to your video card in terms of which component is the most responsible for performance. But either way, you need a solid CPU if you want to build a solid computer. CPU Cooler/Fan: The CPU fan or cooler dissipates heat from your CPU to help keep it cool. Every CPU comes with a stock fan (unless otherwise noted), but you can always buy a bigger and better air cooler from a third-party manufacturer as well. Liquid cooling is also an option for building a PC, but if you’re working with a tight budget, you’ll want to stick with an air cooler. Motherboard: The motherboard operates as the main “hub” of the PC. It’s where all of your components connect to so that they can communicate with each other. Video Card: A video card is similar to a CPU, but its main job is to handle all graphics-related processes. You don’t necessarily need to buy a video card if you just want to build a standard PC. A lot of processors have video processing capabilities built directly into them. However, if you want to game on your PC, the integrated graphics that come on most CPUs aren’t good enough for serious gamers. If that’s the case for you, you need a dedicated graphics card. And, you can choose between an NVIDIA or AMD video card. In the current video card generation, AMD seems to offer better price-to-performance in their budget-range video cards over what NVIDIA offers. Memory: Memory, or RAM, serves as the location where your CPU can carry out tasks. For most purposes, you’ll never need more than 8GB of RAM (at least, at the time of writing this.) However, if you’re doing a lot of CPU-intensive work, video editing, graphic design, etc. you may be able to utilize more than 8GB. Storage: There are two prominent types of storage: traditional mechanical hard drives (HDD) and solid-state drives (SSD). Both offer you a place to store all of your files, documents, and games. HDDs offer much more storage space for the price, but SSDs are much faster and can offer a significant performance increase (outside of gaming, as a solid-state drive won’t have a big impact on your in-game experience other than loading times.) Many PC builders pair a solid state drive with an HDD in their builds so that they can get the best of both worlds. Case/Chassis: A case is simply the container that you place all of your components inside of. Not all cases are created equal. Some are smaller and have less space, while others are huge and allow for all sorts of crazy configurations. And, not all components will fit inside of all cases. So, it’s important to check and see if the components you are going to purchase are compatible with the case you want to choose before you buy all of your parts. Power Supply: A power supply, or PSU, is the component that delivers electricity to your system. It takes the power from a wall socket in your home and converts it to power your PC can use and then delivers it to your system. Not all PSUs are created equally and it’s important that you don’t choose a cheap unit that could give you problems down the road. You also need to make sure that the power supply you choose is big enough to power all of the other components that will go into your build. You can do that with a calculator like Extreme Outervision. Optical Drive: An optical drive is either a CD/DVD drive or a Bluray drive. Honestly, optical drives are slowly becoming obsolete as games and software are primarily downloaded online. You can even install your operating system through a USB drive nowadays. Still, though, a traditional optical drive is only about $20 so if you have a big budget it doesn’t hurt to throw one in if you still have some games or software on a disc. Operating System: Obviously an operating system isn’t a physical component. However, you need an OS if you want to game. Ultimately, there are two viable OS options: Windows and Linux. Of the two Windows is the best option as it can accommodate any PC game. However, it will cost you an additional ~$90. Linux is free but doesn’t support as many games as Windows. Still, though, if you only care about playing certain Linux-friendly games and you don’t mind being limited to only Linux-friendly games, it might be worth considering. What Cables Are Needed to Build A PC? There are a ton of cables that are needed to build a computer. Fortunately, though, you don’t really have to worry about them and where they go because A) they are all clearly marked on where they go and B) all of the cables you need come with the components you will buy. In the worst case scenario, you might be short a couple of SATA cables. So, if you want to order a few extra just in case you can do so. (They’re only a couple bucks each.) Other than that, all of the cables you need will come with your motherboard, case, and power supply. What Tools Are Needed to Build A PC? Zip ties are also good to have, as well, to help you secure excess wires out of sight. And, of course, if you want to get really fancy, there are a few other tools that can make building a cheap gaming PC a little easier. It’s also a good idea to have a laptop, computer, smartphone, or tablet that is connected to the internet. Often times new builders get hung up on a common issue during the building process, that, because they have never built a computer before, isn’t something they know how to solve. Fortunately, though, there are a lot of forums out there where these types of issues get posted and solved every day. So, having access to the internet during your build could be the difference between a smooth build process, and a problem-laden build process. 4. Where Do You Get PC Parts for Your Gaming PC? For me, personally, I stick to Amazon.com simply because I already have a Prime membership and so I can get most items within a couple of days. And, let me tell you when you hit the submit button on your order, the last thing you’re going to want to do is to sit around for a week waiting to build your PC. Also, Amazon typically has the lowest prices, and if not, they aren’t too far off of the nearest prices from competitors. And, in the instances where they don’t have the lowest price, I’m willing to pay a little more to guarantee that I get my parts (and, thus, my system) quickly. However, there is some sense in using the other stores mentioned above. If you are fortunate enough to live near a Microcenter, they often have insanely good deals that you won’t find online. And, another option is to mix and match where you get your parts from. This makes sense if you want to maximize your budget to its fullest as you can buy different components at different stores depending on where they are the cheapest. 5. How Do You Build A PC? 6. Should You Build A Gaming PC or Get a Laptop? Ultimately, while performance is always the best metric to determine what kind of system you should get, the best PC for gaming for you will come down to your own specific needs. So, if you need mobility, go with a laptop. If you don’t, then build a good gaming desktop. If you need a more through breakdown of the differences between laptops and desktops, check out our Laptop vs. Desktop post to give you a better idea of which option is best for you. 7. Should You Build A Gaming PC or Get a Console? And, overall, the in-game experience on a PC is better than it is on a console. That’s simply because on the PC you can play with better visuals, more detailed graphics, and smoother gameplay. And, of course, on average, PC games tend to be cheaper (Steam) and there are also a lot more of them. So, while a console will cost you less upfront (unless you go with a really cheap PC), if you buy a lot of games, in the long run, a PC will win out. Ultimately, though, if you’re like me, you just get both and enjoy the best of both worlds. Problem solved. Need help with your part list? Leave your questions below! All of the builds are about $100 more than the ranges you give for them (not including tax). Other then that thanks for the info. I’ve been looking into AIO liquid coolers for the $600 build, but I don’t want to possibly go overboard with the cooling. What would be a good liquid cooler to go with that’s under $100? Hi is 400$ or 500$ build can run cemu emu. (Like zelda botw)and dota2. I am trying to start a gaming channel, i looked at you list and it is helpful, but is there any way you could share the ezact stuff you would buy on around a $250 bugete, most of the games i will play will be like minecraft,fortight,roblox, and other games of this sort. thank you to ayone that ends up helping me. I am a die hard PC gamer who has a solid system, but wants to get better graphics. However, since my PC is in my laptop, I can’t upgrade the graphics card without buying a new PC. Should I get a decent, cheap gaming pc with better graphics? I am currently a console gamer and am considering building my first PC, so your list here is great, thank you for this. The main reason I’m still on PS4 is the convenience of not having to upgrade to remain viable every 6months to a year. So, I do have a few questions for you of course. 1- which of these builds would you consider the most “future proof”? I’m not interested in spending the cash and then not being able to really upgrade to the standards in say, 2-3 years. 2- Of those builds, would there be any issue with bottle necking? either in its current build, or in possible future upgrades? 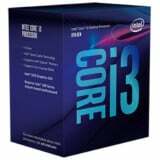 Hello, I new to building PCs and am wondering if I could, at any point, upgrade the i3 in the $500 build to an i5 at any point. Thank you for your time. Hi Barry, yes, you can definitely upgrade from an i3 to an i5 (or, even to an i7) in the future with the $500 build. Depending on how far into the future the upgrade will occur, though, you may not be able to upgrade to the newest i5 or i7 at that time. Your best options for an upgrade (when the time comes), would probaly either be an Intel Core i5-8400, i5-8500, or an i7-8700. I’d go with an i7-8700 as it would represent the biggest performance gain. Thank you for taking the time to respond so quick, Brent! Great to know all this for future reference! A little extra tip for the readers. especially parents trying to save money but get something awesome for their kids; While it is definitely complex to build your own laptop, it can be done once you get good and a little knowledged with desktops as a starting point. And if ou’re considering a desktop, do it. It’s a great investment, it is cheaper, and really, anyone can do it with a little patience and a few basic guides. Hey John, thanks for reading and commenting. It really all depends on how much money you want to spend. But, I think your best bet would be the $600, $700, or $800 builds in order to get ~60 FPS average on a 1080P monitor on medium-to-higher settings. Though, if you don’t mind turning down the settings a bit, the $500 system could work, too. I couldn’t help but notice you chose asus for every gpu, is this really the best bang for the buck by benchmarks and price ratio or personal preference? Hmmm, I only have one ASUS graphics card on these builds. Did you mean AMD?